Here's what really goes into Michelin reviews. Michelin stars are to restaurants as Grammys are to musicians. The elusive stars are status symbols of excellence, wielding the power to put a restaurant on the map—or, with the loss of stars, shut one down. Ever wonder who’s behind the Michelin Guides, or what the process involves? There’s a group of “Michelin inspectors,” kind of like the Secret Service of the culinary world, who are tasked with dining at and observing restaurants, then assessing their star-worthiness. Here, we anonymously interview a Michelin inspector to find out how many Michelin meals he eats in a year, how much he’s on the road, what a star-worthy meal should taste like and more. What inspired you to apply for a role as a Michelin inspector? I have always loved cooking, as well as the restaurant and hotel industry, and have long understood the excellence that the Michelin Guide represents. I came to the inspector position after working in the hospitality industry for a decade, specifically managing food and beverage operations in New York City hotels. In pursuance of my love for food, I also went to cooking school and received a degree in Culinary Arts. After receiving my culinary degree, I learned that an inspector position had opened in the newly formed U.S. team following the launch of the first Michelin Guide to New York City in 2005. The interview process was lengthy but exciting, and I've been a Michelin inspector ever since. 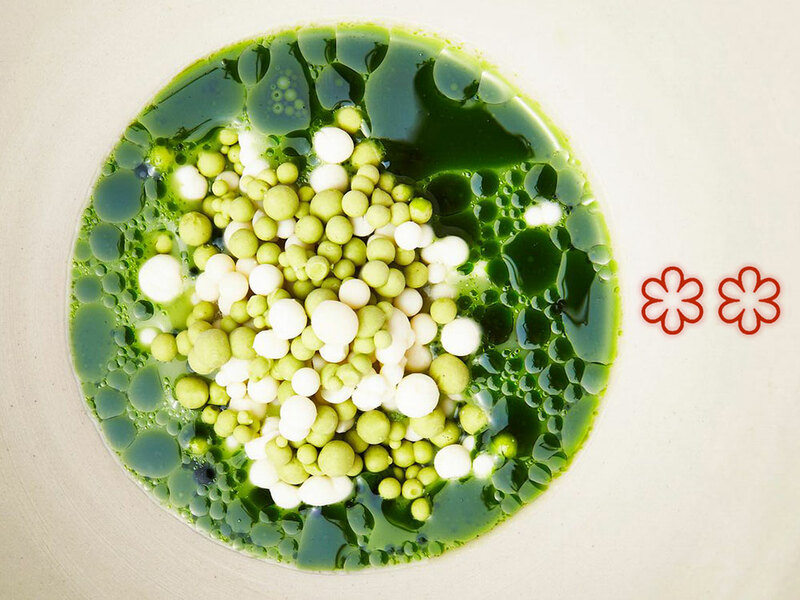 How many Michelin-starred restaurants are under your belt? I have been to every establishment that has ever been awarded a star in New York City, as well as in our three other markets: San Francisco, Chicago and Washington, D.C. I won't say that I have any favorites since each star has its unique merit; however, I have a fondness for the newly awarded stars in our 2018 editions. Where are you eating when you’re not working? If I'm not taking the opportunity to stay in and cook, I am most certainly choosing to dine out at one of our Bib Gourmand designated restaurants. What happens prior to visiting a restaurant for the first time? As for the process involved prior to the meal, it is important that we conduct some research and have background on a restaurant before we arrive for a meal. For instance, who is the chef; where was he or she previously; what are they attempting to offer; is this a representation of a specific regional cuisine and what makes it authentic? How many times do you visit the same restaurant? Consistency is a key. Many restaurants can offer a fine, even impressive meal—but can they do it on a consistent basis? This is very important when we consider a restaurant for a star award, and it is the reason why we return to the same establishment several times. Do restaurant staff every suspect you’re a Michelin inspector? We certainly strive for anonymity by dining as regular customers and paying our full bill since anonymity is paramount for the inspectors and the Michelin Red Guide process. We dress appropriately for the setting, we dine with a colleague when it is warranted and we never make a big show of our presence. How do you ensure no one suspects you’re an inspector? I probably shouldn't comment on this so we can all continue to remain undercover. Do you take photos of the food when dining? Photography has become increasing important for us, for social media and other outlets, so we do take pictures of our food. But nowadays, who doesn't? Do you have a crazy, whimsical travel schedule? The U.S. team is currently responsible for covering four markets, so travel is a large component of the inspector position. There are times of the year when we are on the road for three weeks out of the month. Whether in our home market or on the road, the process is the same, as per our global standards—we are dining out twice a day while attending to our responsibilities like planning and research. Do you order the entire menu when inspecting? We always order three courses—an appetizer, an entrée and dessert—when dining. We try to pick items that are the best representation of the menu/concept/chef's talents. I’d never order the roasted chicken at a steakhouse, for example. Another example would be if a Thai restaurant specializes in the cuisine of the North, then those are the items that will be the focus of my meal. What kinds of questions do you typically ask? What are some indicators of a meal that doesn’t meet Michelin star standards? Cooking that displays careful attention to detail is vital when an establishment is under consideration for a star award. Is the food served at the appropriate temperature? Is it accurately and enjoyably seasoned? Is the quality of the products used excellent? Is the presentation enticing? And does the meal meet all these criteria for a star award when a different inspector returns months later? What is the most rewarding part of being a Michelin inspector? Bringing global recognition to chefs for their talent and ability is one of greatest rewards of this very interesting job.